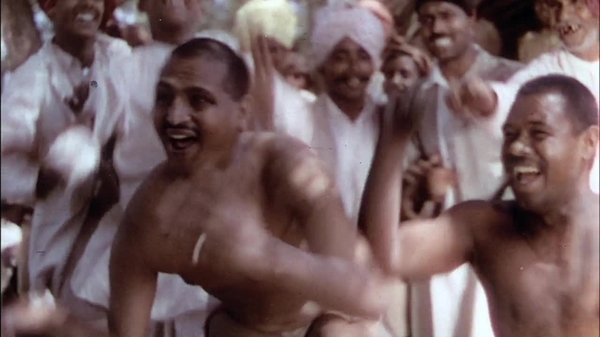 In this specially curated programme selected from the BFI National Archive, South West Silents presents an unparalleled collection of rare films of pre-Independence India, from the earliest days of Indian cinema. From the oldest surviving film of India, Panorama of Calcutta (1899), showing the ghats of Varanasi, to the glorious Tins for India (1941) which finds poetry in the kerosene can, directed by Bimal Roy, one of Indian cinema's greatest directors, these films are being made accessible to audiences in the UK and India for (largely) the first time. See them on the big screen with us here at Cinema Rediscovered ahead of the newly digitised online collection of 300 films being made accessible to audiences via the BFI Player in August. Presented in partnership with Asian Arts Agency with a live accompaniment by pianist Stephen Horne. Winner of the UNESCO Prize at Venice (for the film that best represents the values of peace and human rights), this is a charming Indian drama about an old man, convinced he is about to die, who ropes his son into accompanying him to the holy city of Varanasi. India has one of the world’s richest and most prolific film industries and histories. This year’s edition of Cinema Rediscovered includes a selection of special events putting the spotlight on Indian filmmaking and archive films about India.